Want to learn how to create those beautiful blurry background portraits? We can show you how to do that and much more. Our next class is coming up this January! January 12th our all day workshops with both beginner and intermediate classes are available. Ready to learn how to control your camera? Tell your camera you're the boss! Get better photographs from your DSLR by learning just what to do, when you want to do it. Your DSLR can do SO much, so why not learn how to use it? Ready to wow your friends (and yourself!) with better photos? We're here to help. Are you stuck shooting on automatic? Frustrated getting the same results, blurry images, missed shots and missed smiles, or you just have no idea how to figure this new camera out? You paid so much money for this nice camera, you may have even paid extra for some lenses or things you were told you'd need. 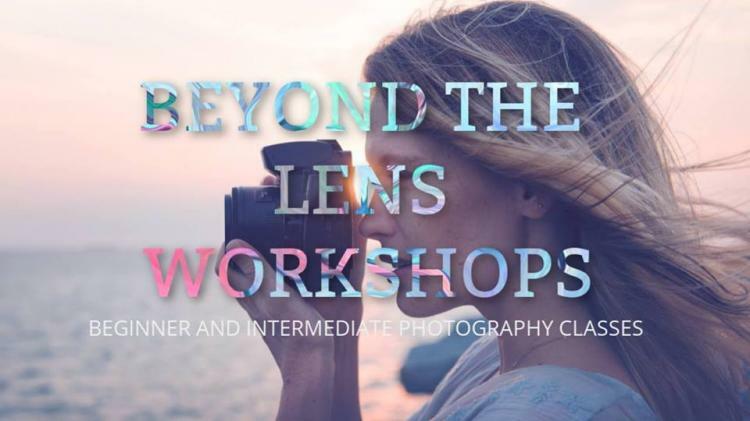 Don't worry- we have a class JUST for you and we can help you learn what you need and what you don't, when to use those nice lenses, tripods, and various camera pieces in your bag, and most importantly- HOW TO TAKE BETTER PHOTOS! You're a better photographer than your camera thinks you are...and we can help by building your fundamental skills. We'll show you how to make your camera work for YOU and do what YOU want. We'll teach you the basics of photography, walk you through step by step with hands-on exercises, and build your confidence level while we're at it. Let's discover what all those knobs, buttons, presets, and settings your camera has, learn some basic composition rules, grasp the idea of lighting, and get a better knowledge base for you to use every time you pick up your camera.